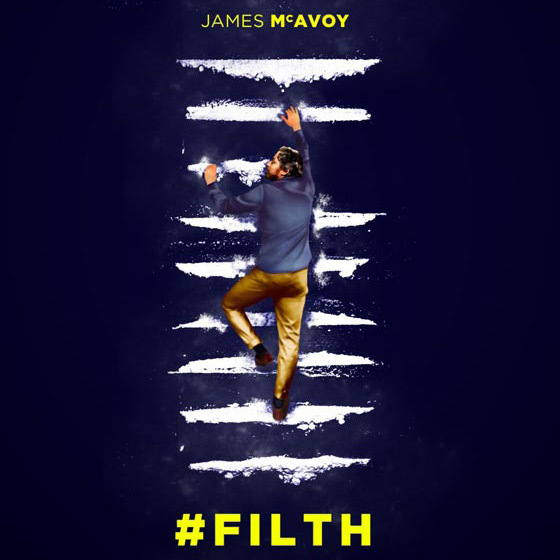 Filth is an Edinburgh-set darkly comedic drama; a riotous tale about the abuse of power through a character who is powerless to halt his own rapid decline into oblivion during a trivial police murder investigation. Despite it providing an ideal opportunity to eliminate his rival colleagues in the race for promotion – a promotion he so desperately craves – Detective Bruce Robertson has other obstacles to overcome, including: alcohol & drug addiction, a dramatic deterioration in his mental health, and some increasingly demanding extra-marital affairs. It’s described by the film-makers as American Psycho meets Bad Santa via In Bruges.